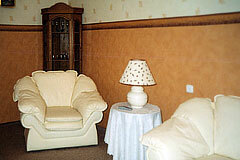 This apartment is available ONLY to Euro Club clients. Please click here for information on the Euro Club. 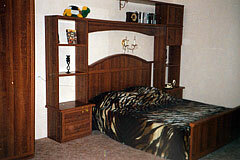 This two room apartment is quite comfortable with good furniture. 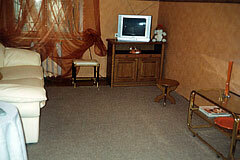 Amenities include Cable TV with Euro News and Discovery channels and self contained hot water heater. Living room has a coverable sofa bed. 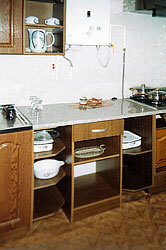 and room to move around. THIS PROGRAM IS THE SOLE PROPERTY OF 100 TOP ASIAN WOMEN SITES AND MAY NOT BE COPIED IN ANY WAY OR FORM WITHOUT EXPRESS PERMISSION FROM 100 TOP ASIAN WOMEN SITES.